Former Texas Congressman Beto O'Rourke's record $6.1 million fundraising haul in the first 24 hours of his campaign came from 128,000 unique contributions, the candidate said Wednesday, a number later confirmed by ABC News. The average donation to O'Rourke's campaign was $48, his campaign added. The number is significantly less than the roughly 223,000 individual donors that gave to Sen. Bernie Sanders campaign within the first 24 hours of the announcement of his candidacy, when he raised $5.9 million. 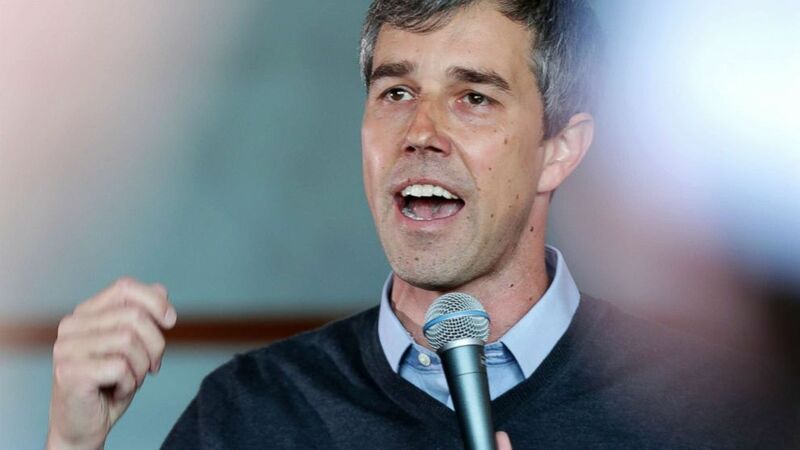 O'Rourke announced on Monday that his campaign raised $6.1 million in the first 24 hours after announcing his presidential campaign, the most so far by any 2020 Democratic hopeful. "Americans across this country came together to prove that it is possible to run a true grassroots campaign for president -- a campaign by all of us, for all of us, that answers not to the PACs, corporations and special interests but to the people," O'Rourke said in a statement released by his campaign Monday morning. O'Rourke's first-day sum far outpaces other Democratic hopefuls seeking to unseat President Donald Trump. California Sen. Kamala Harris raised $1.5 million during her first 24 hours as a candidate, while Minnesota Sen. Amy Klobuchar and former Colorado Gov. John Hickenlooper each hit the $1 million mark roughly 48 hours after announcing. The contributions to O'Rourke also are a tangible example of the legitimacy of a presidential campaign that a year ago would have been considered impractical, if not impossible. The former congressman raised nearly $80 million last year attempting to unseat Republican Sen. Ted Cruz in the most competitive Senate race run by a Democrat in Texas. O'Rourke was mum on initial fundraising numbers during a three-day campaign swing that began last week. When pressed by reporters outside an event in the city of Washington, Iowa, he said he was choosing not to release the numbers, refusing to elaborate. "I could. Let me answer the question better: I choose not to," said O'Rourke, when he was reminded nothing precluded him from doing so. O'Rouke has not yet released any additional information or specifics separate from the total figure. Several others Democrats, for example, have tried to emphasize their small-dollar donors. Sanders' team said 223,000 individual donors gave to his campaign the first day, and 359,000 in the first week. Sen. Elizabeth Warren has promised she would not hold any private fundraisers with large donors, a challenged other Democrats running to make the same pledge. O'Rourke's aggressive initial campaign continued on Monday, starting with a stop just north of Detroit, followed by an afternoon stop in Cleveland. He's then scheduled to travel to Pennsylvania, continuing on to New Hampshire later in the week. ABC News' MaryAlice Parks contributed to this report.